Deadly floods in West Virginia, South Carolina, and Malawi. Earthquakes in Ecuador, Myanmar, and Japan. A typhoon in the Philippines. 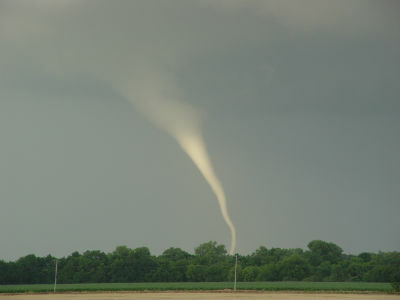 Tornadoes in Oklahoma and parts of the Midwest. The European refugee crisis. Over just the past few years, Church of God Ministries has been hard at work, carefully distributing funds you’ve given to provide much-needed relief in the wake of disasters around the world. 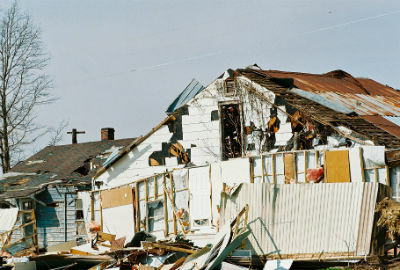 Church of God Ministries maintains the Disaster Relief Fund on behalf of the Church of God movement in order to be able to respond swiftly to disasters when they strike. Recently the need has proved greater than our capacity. We’re looking to God’s abundant grace and your generosity to continue disaster relief into the future. Recent and ongoing disasters demand our attention, but the Church of God can only respond when funds are available. Remember the floods in Malawi? While initial disbursements assisted in the cleanup, crop damage has now left residents with a severe food shortage. Though you won’t hear about it much on the evening news, flooding has displaced more than 60,000 people in northwest Bangladesh. Behind such statistics are faces of men, women, and children, created in the image of God, but dealing with incredibly difficult circumstances. When the magnitude-7.0 earthquake devastated Haiti in 2010, Church of God Ministries received more than $845,000 for the relief effort, which was maximized to build more than 170 wood-framed and cement-block homes. Fifty work teams of more than 700 people assisted in the effort. Additionally, the massive need for prostheses was met by a check from Church of God Ministries for $50,000 to complete a prosthetic clinic under the direction of Dr. Mark Fulton. Because of your generosity since the Haiti earthquake, homes and churches damaged or destroyed by floods and tornadoes have been repaired or rebuilt. Because of your generosity, food and hygiene supplies have been distributed in the name of Jesus to refugees fleeing the worst of living conditions. Because of your generosity, urgent medical attention has been given to the hurting and afflicted. Your faithful support makes Church of God Disaster Relief possible. You’ve heard how disasters continue to plague the nations of our world. The frequency of disasters may contribute to some desensitization as one global challenge leads to the next. We must not let our hearts grow cold to the great humanitarian needs of our day. We are called to be the body of Christ, and people continue to need a touch from his hands and feet. Together we’ve responded to many a disaster with the love of Christ. Would you prayerfully consider a generous donation to ensure a continued timely response to disasters? Gifts to the Disaster Relief Fund at Church of God Ministries are used to respond to needs identified on the ground. All gifts to the Disaster Relief Fund are used for disaster relief domestically and internationally at the discretion of the Disaster Relief Committee. Donate online to the Disaster Relief Fund http://www.jesusisthesubject.org/disaster-relief/. Donations can also be mailed to Church of God Ministries, PO Box 2420, Anderson, IN 46018; please note that your gift is for Disaster Relief, Project # 45.04502. For the most up-to-date news on these disasters, we encourage you to like and follow Global Strategy and Church of God Ministries on Facebook, and Global Strategy and Church of God Ministries on Twitter. This entry was posted in All Church of God, Disaster Relief and tagged aid, Disaster Relief, earthquake, flooding, global, humanitarian, hunger, tornadoes, tragedy. Bookmark the permalink.